Sunny. High 57F. Winds NNE at 15 to 25 mph. Winds could occasionally gust over 40 mph.. When she returns to the classroom in fall, former UW-Whitewater Chancellor Beverly Kopper will earn nearly 50 percent more in salary than the chairwoman of the department where she will teach. 75.8 percent more than that of the average psychology department faculty member. 49.9 percent more than the salary of department Chairwoman Carolyn Morgan. 38.1 percent more than the department’s current highest salary. UW-W provided the current salary figures of 15 faculty members in response to an open records request. They are nine-month salaries without benefits. 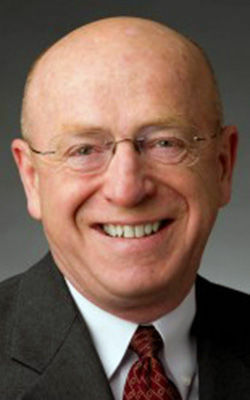 Kopper’s nine-month salary was cited in a Dec. 6 letter from UW System President Ray Cross to Kopper. The letter was released Dec. 17, the day Kopper announced her resignation. The Dec. 6 letter says Kopper will earn her annual chancellor salary of $242,760 while she is on paid leave until the end of August. Then she will teach four classes each semester of the 2019-20 school year as a tenured psychology professor, according to a work plan system officials released Monday in response to a separate open records request. Morgan, the psychology department chairwoman, declined to comment. Morgan started at UW-W in 1996 after she got her doctoral degree from the University of Utah. David Simmons, chairman of the university’s faculty senate, also declined to comment. UW-W representatives did not respond to an email seeking comment. The salary also includes annual base adjustments and $3,000 for each of Kopper’s nine years as an administrator. In the statement, Pitsch said Kopper’s new salary is less than the one she earned as UW-W provost. Kopper resigned after acknowledging she knew the Board of Regents wanted different leadership at UW-W. About six months before, Cross had banned Kopper’s husband, Alan “Pete” Hill, from campus after an investigation into multiple claims of sexual harassment. Kopper did not announce the results of that investigation until September, just minutes after the Milwaukee Journal Sentinel received related documents from a records request. A Nass representative did not respond to an email seeking comment Tuesday. Before the fall semester, Kopper must prepare class syllabi, read assigned texts, create assignments and catch up on classroom technology, according to the system’s statement. Then she is scheduled to teach four classes each semester. Some of them will be online. 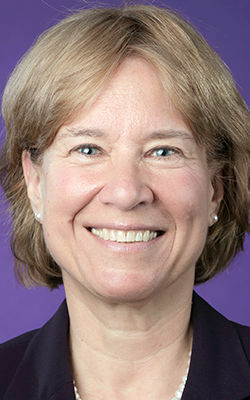 The UW System on Monday released a work plan for former UW-Whitewater Chancellor Beverly Kopper, who is set to teach four classes each semester of the 2019-20 school year as a tenured psychology professor.